Velux are pretty much the most popular roof window in the U.K. at the moment, and this is what the majority of my customers go for as long as the price is comparable to other roof window manufacturers. And I’ve got to be honest I like fitting them because they are easy. It doesn’t matter if your Trade or a DIY’er it’s always nice to save some money and if you’re trade that means you can be more competitive. You can buy Velux and other brands of roof windows at discount prices, I should know I’ve been fitting roof windows for many years now so I’ve picked up a tip or two along the way. Its not uncommon to save around £40 to £50 on a medium sized roof window if you look in the right places. There are other good manufacturers of roof windows like RoofLITE . While they may not be a ‘Velux’, they are guaranteed to 10 Years, the quality is high and a good saving can be made especially when the windows get larger or multiple windows are used. The first place to look whether you’re trade or a private installer is for online promotions. Sometimes old stock is cleared out to make way a new range, or a company like Velux or Roto etc. may be upgrading a window and the stockists don’t want to be left with old stock. In the big DIY chains like B&Q, Wickes or Homebase look out for seasonal promotions like Easter, and discount weekends, this is only really useful if you’re not in a rush to purchase though. Having said that I’ve saved some money like this now and again. If you buy roof windows on a regular basis you cannot afford to mess about waiting for deals most of the time so try this. If you’re fitting a lot of roof windows it will give you some leverage at the big builders yards. 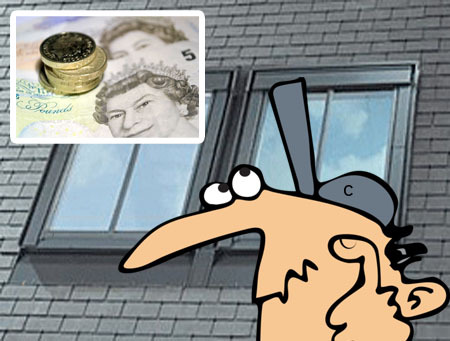 Try to do yourself a deal by approaching a member of the sales team at two or three large suppliers and see what discount they will give you on roof windows. Bear in mind a realistic figure of how much you spend per annum and they should be able to come up with a discount package, normally separate from any other discounts you may have already with them. You should be able to do a deal whether you have an account or pay on the day settlement arrangement. I get 22.5% OFF with my supplier, who already has competitive rates. Old Velux window codes – Need a serial number?